We have now a Facebook page. You will stay updated of everything that happens on our sites and can also contribute your ideas and suggestions. 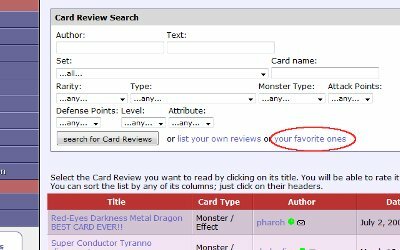 When viewing Card Reviews, Decks, and Dream Cards, you can now get a list of your favorite ones with just a click. The new option lets you list those contributions that you have given a high rating (you have voted them with a 4 or a 5). This way you can easily go back to your favorite reviews, decks or dream cards at any moment. So, keep voting for your favorite items and come back to them often to discuss them with others! 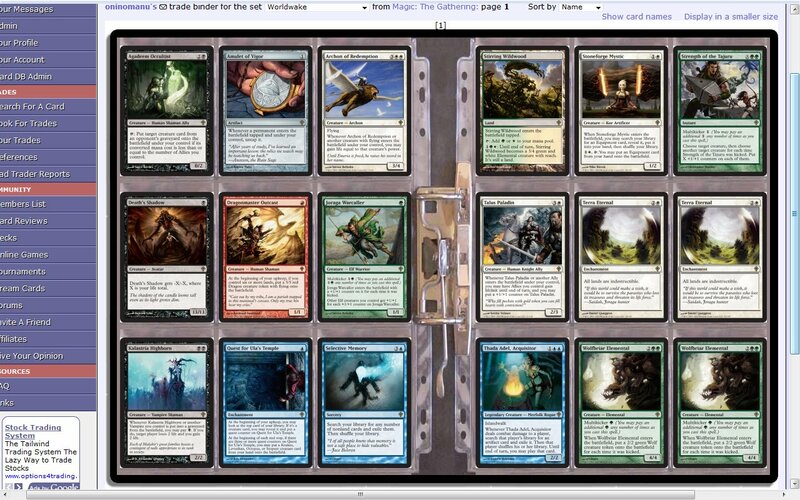 When browsing your trade and collector binders the amount and name of the cards are shown below the actual cards. I have now added the option to hide this info so that there is more space available for the cards themselves and so that the binder looks even more real. I have slightly changed the look of the sites. It’s not a big change, but it’s a tiny bit more colorful and cleaner, and internally more standard so that in the future will allow for the addition of different graphical themes for the users to choose from.